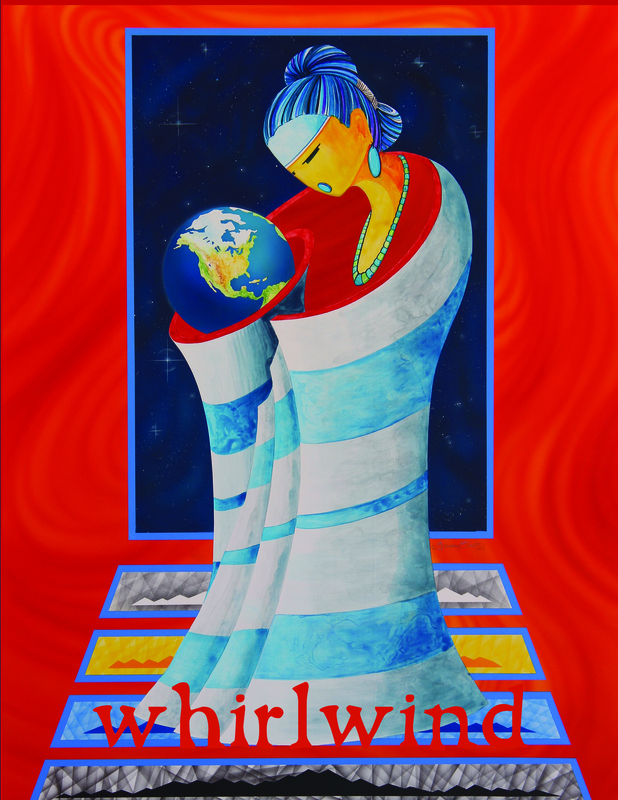 Dear readers, thank you for opening up our 8th issue of Whirlwind, which focuses on Mother Earth. This one is personal for me, as my own mother has recently been diagnosed with Ovarian Cancer. A combination of genetic, hormonal, and environmental factors are what cause this particularly dangerous form of cancer, but it’s worth noting that Ovarian Cancer is far more prevalent in industrialized countries, implicating that the chemicals (solvents, dyes, herbicides, and talc) that can cause Ovarian Cancer, are indeed significant culprits. This metaphor, of our mothers becoming poisoned by pollution, their genes being mutated in the very organs that gave life to us, is all too profound when applied to Mother Earth. We’re destroying the planet that gave birth to us, human beings, and we’re threatening the massive suicidal extinction of our own species, not to mention the already apparent extinction of too many other animal species. In this issue, like all of our past issues, we present to you literature and art that bears witness. However, this issue is more pertinent to social justice than any other topic. We can talk about our identities all we want. We can theorize about intertextuality all we want. We can apply irony to art and literature all we want. But if we don’t confront this existential threat, the threat of fossil fuels, the threat of carbon emissions, the threat of multi-national corporations destroying our planet, mowing down rain forests, killing coral reefs, slaughtering endangered animals, ripping a hole into this planet’s atmosphere, our children and our children’s children will all die. Storms and other weather patterns will become more severe. The seas will rise and flood our cities. The summers will become unbearably hot. And some scientists say it’s too late. Catastrophists say that if we would have done something in the 1960’s, then we could have saved ourselves. They say that individuals can do nothing to stop the irreversible, oncoming tidal wave. But there is still hope. In the contemporary literary and art world, hope is a dirty word. There are too many cynics who want you to give up hope. To go on with your ordinary lives and keep consuming the mass-produced gadgets. To live in the present, and to cast aside true compassion as sentimentality. But we must not give up hope for our planet and for all peoples. And yet with hope comes responsibility and sacrifice. Each of us needs to do our part to put an end to man-made climate change. What other option do we have? Succumb to nihilism? Our mothers teach us the most important lessons in life. To be caring, to be disciplined, to work hard and be unselfish. Through their womanhood, their willpower and resolve, we must find inspiration to save our collective mother, the planet we all inhabit. We need to speak up against the cranky old men who have a strangle hold on our politicians, the fossil fuel lobbyists, the climate change deniers, the 1% who only care about profits, and speak of “the market” as if it’s some living entity that needs to be endlessly served. It’s as Pope Francis has said, “…worship of the golden calf of old has found a new and heartless image in the cult of money and the dictatorship of an economy which is faceless and lacking any truly human goal.” This golden calf is what’s destroying our Mother Earth. We must cast down this idol and work together to build a sustainable world for our descendants to live in harmony with nature.